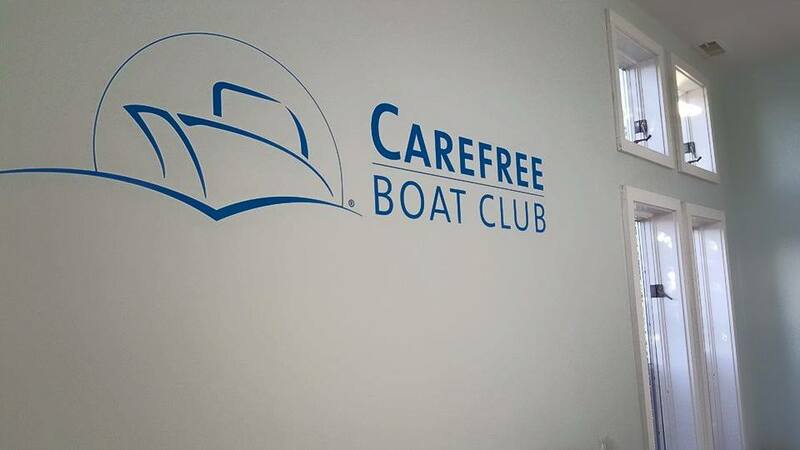 Established in 2002, Carefree Boat Club is the principle boat club operator in US and Canada. The seek to establish a relationship with locals of the North Shore who seek adventure on the sea without the costs of purchasing a marine craft. 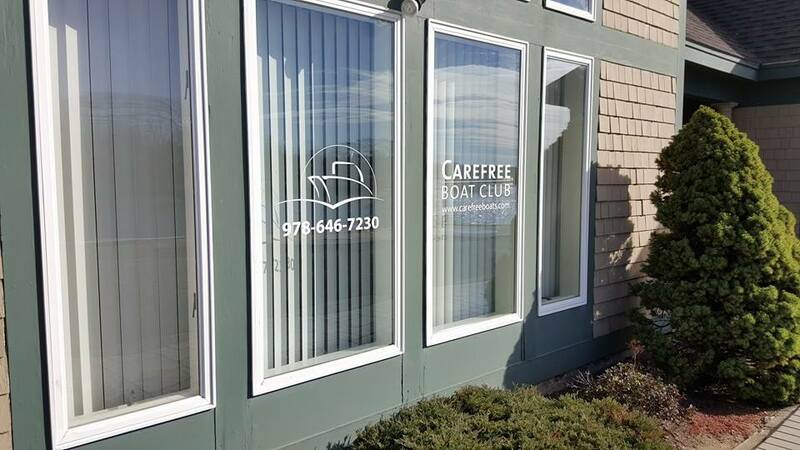 Carefree Boat Club offers its clients boat rentals for varying periods of time. 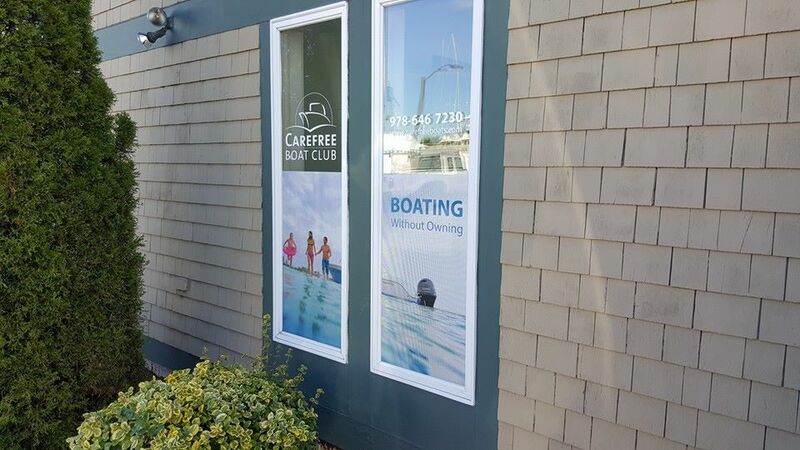 Along with the professional services offered by Carefree Boat Club, customers also gain the benefit of enjoying all of the amenities at the Danversport Marina. 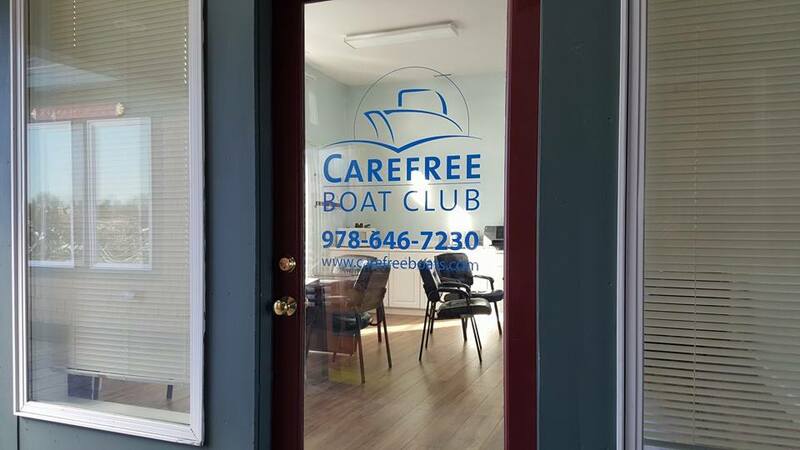 We made it easy for Carefree Boat Club customers to distinguish their business from others by personalizing their glass door and outer windows. 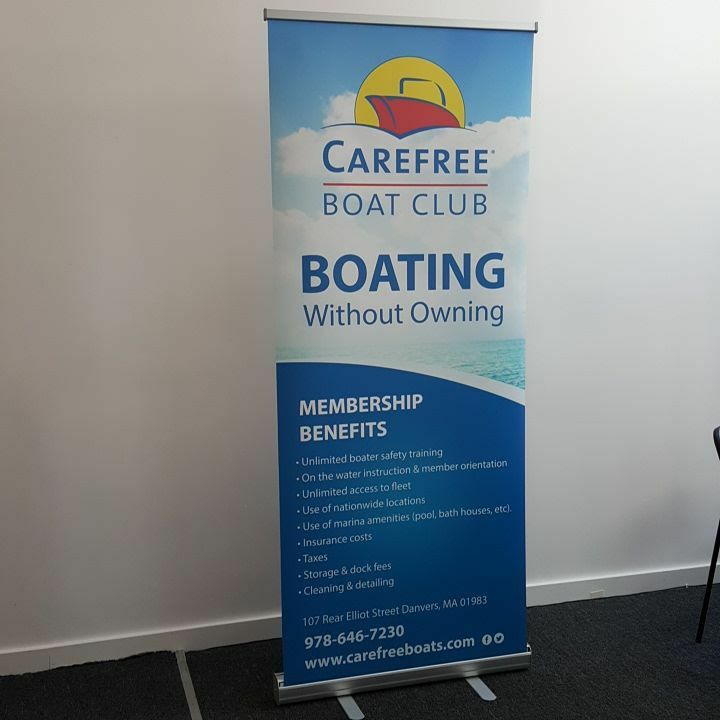 This will greatly assist Carefree Boat Club when a client may pull up to the business during non-business hours. By placing contact information in easy to spot locations, a potential client will know exactly where you are and how to contact your business. We used a wall decal can enliven and personalize an otherwise plain wall with the business’s company logo. 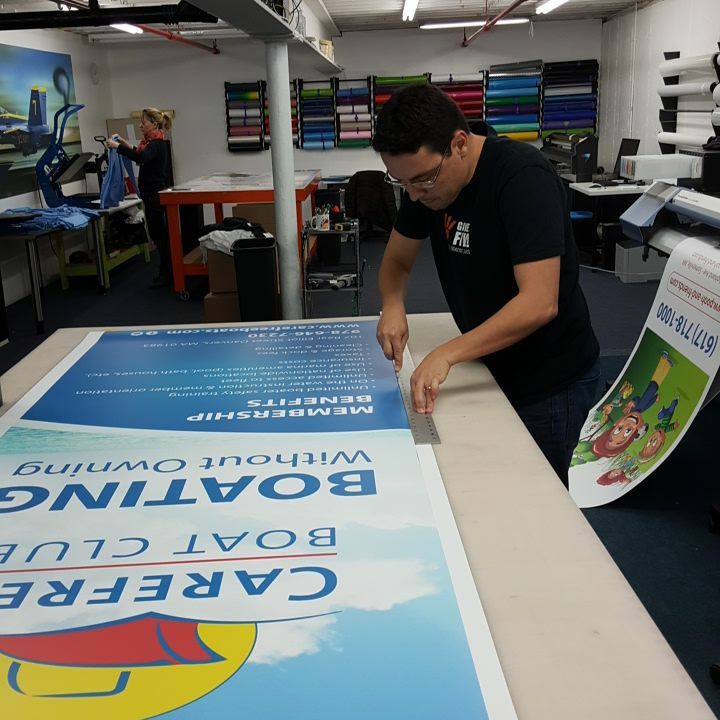 When your customer is waiting in your lobby or meeting room, a standing banner gives a client an opportunity to learn more about your business. The more immersed you make your customer in your brand and your company mission, the easier it will be to for the business to sell their product or service. 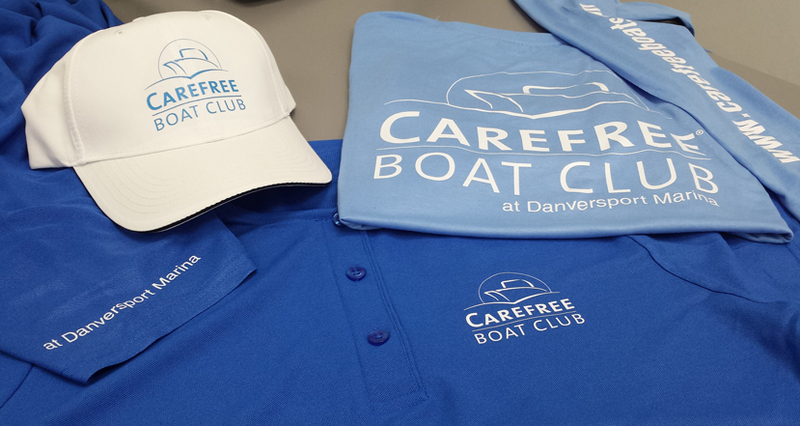 The team at Carefree Boat Club was looking for some nautical wear for their staff to help empower their brand to their customers. We provided them with heat vinyl transfer t-shirts in blue, soft blue, and white.